Split lighting is next in our lighting schemes series. It is a technique mostly used for creating dramatic portraits. The drama is achieved by lighting only one half of the face, while leaving the other in the dark. The light and shadow are divided into equal parts. This isn’t the most popular lighting setup and it doesn’t work with any kind of subject, but when used right, it gives a unique look and feel to the photograph. One of its advantages is that it can be used as a low budget scheme, with just one light, which is also the case of Rembrandt lighting. Of course, the ideal scheme includes more than one light, but in its raw version it doesn’t need too much. So how does it work? The key light has to be placed to the side of the subject, at a 90 degree angle. Now, whether or not you should use a modifier or a bare flash is strictly up to you. It works well with hard light, as well as modified light. As with any lighting scheme, you need to take some test shots. Check the line between the dark side and the light side. It has to run down the center of the model’s face. Ask him or her to look directly into the lens and see if the line runs directly over the nose. 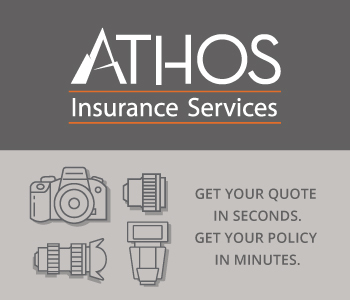 The scheme can be enhanced if you have multiple flashes. The hair light for example is usually a nice touch. Depending on the location, you can also use a fill light or a reflector. The fill light has to be less powerful than the key light by a few stops and it should also be modified with a sofbox or an umbrella. 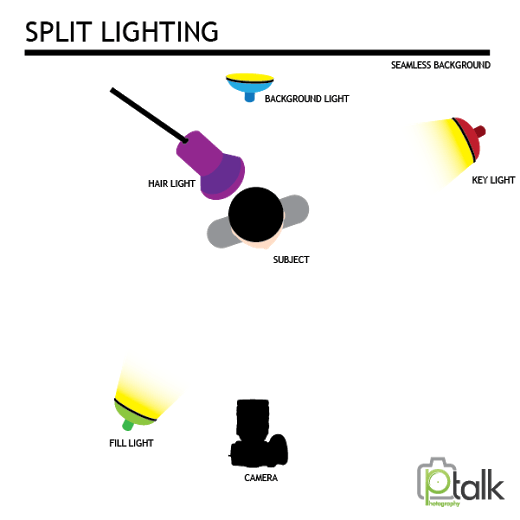 What to remember about split lighting? You have to be careful not to allow the ears to steal the attention from the point of interest. You can use the subject’s hair to cover the ear. It is unfortunately not the best lighting setup for people with large noses. You can give it a try, but you will most likely resort to a different light pattern. You should instruct the model to look into the camera, but not I a way that is too obvious. You can achieve something close to the split lighting look with natural light as well. All you need is a window with soft light coming through. Expose for the light side and leave the other side in the dark. Split lighting works best for masculine portraits, so consider that when photographing your next male model.